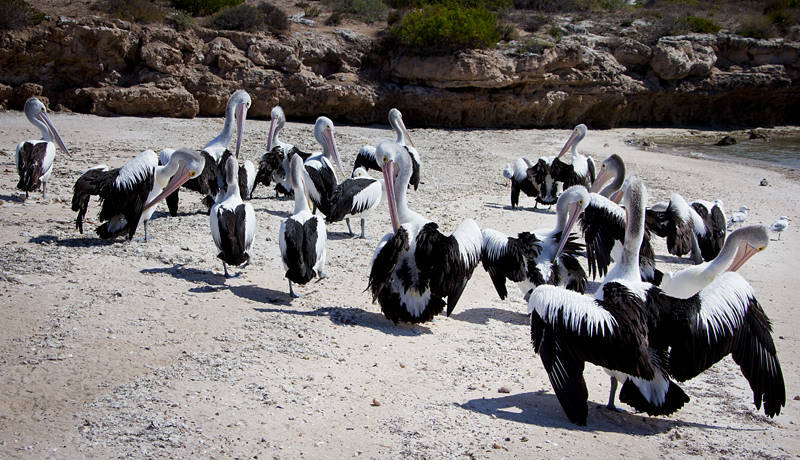 These are Australian Pelicans in South Australia. There must be plenty of fish in the ocean when birds like this get big enough to block your walk along the beach. A good picture! The beaks look a bit intimidating. Did they move to let you by or are they aggressive? They were not aggressive but they were so big we had to walk around the beach.